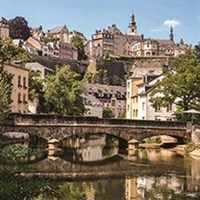 The small town of Vianden has a picturesque location on the banks of the River Our, set amidst magnificent Luxembourg scenery, close to the border with Germany. Vianden houses many great buildings including a feudal manor, a former Trinitarian church and cloister and a rural art museum. Alternative itinerary: Verdun and Battle of the Bulge, available on request.